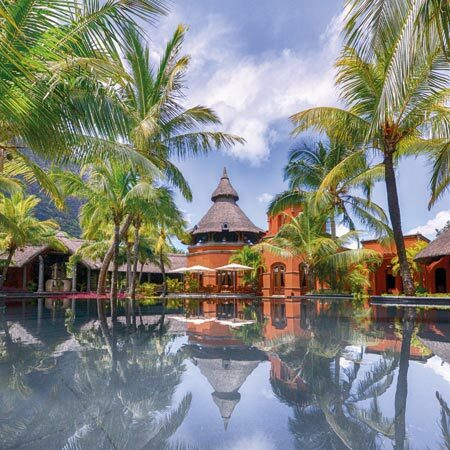 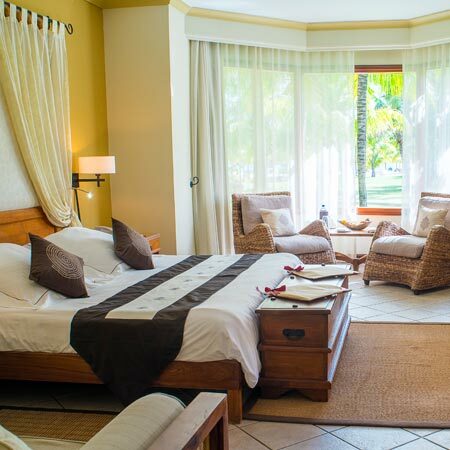 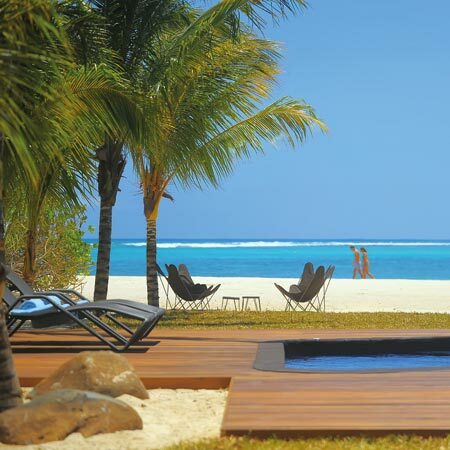 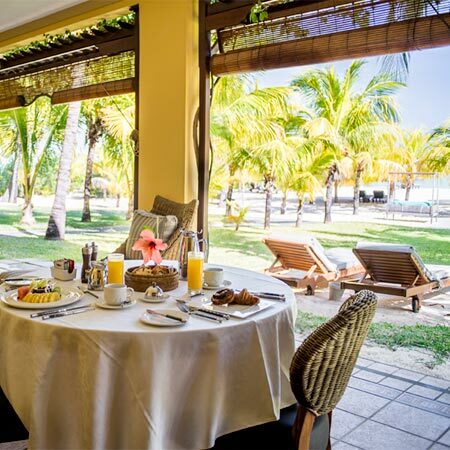 Cascading pools dotted with islets bright with flowers, spacious wooden decks, terraces designed with sea views and tropical gardens planted with exotic trees make Dinarobin Beachcomber the symbol of tropical elegance in Mauritius. 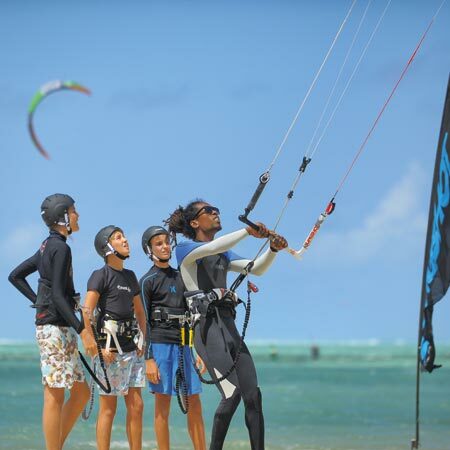 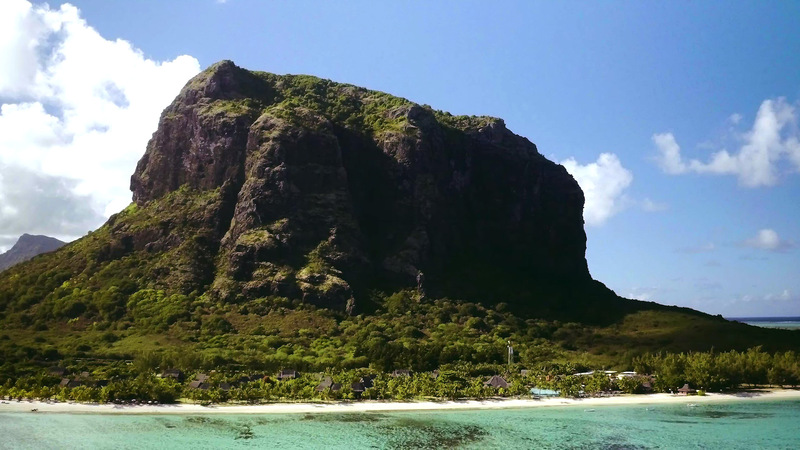 Located on the most scenic shoreline in Mauritius with the spectacular Le Morne mountain acting as a dramatic backdrop, Dinarobin Beachcomber offers an intimate village setting. 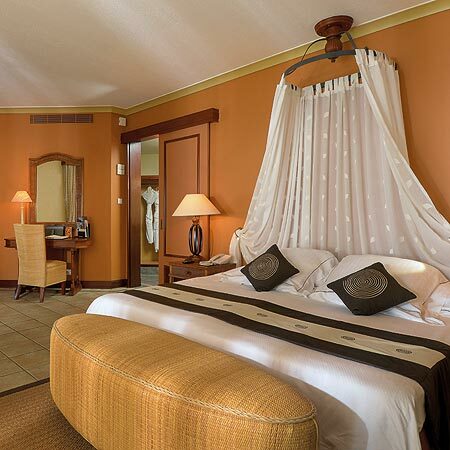 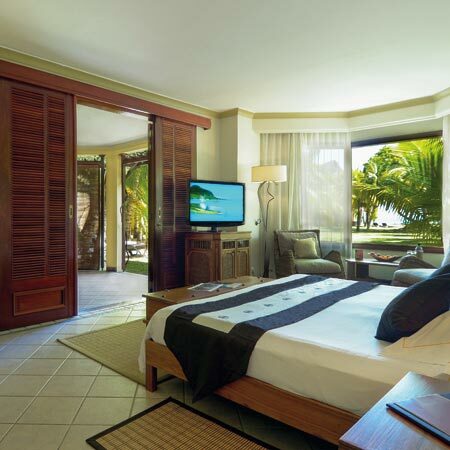 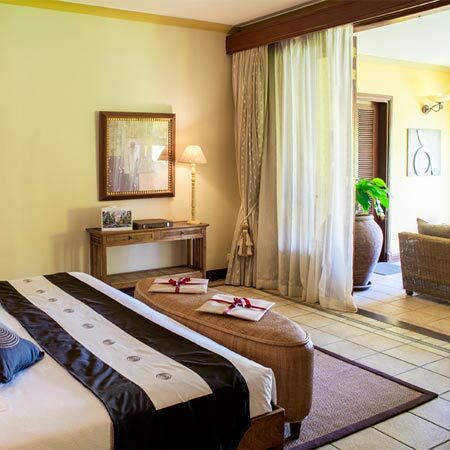 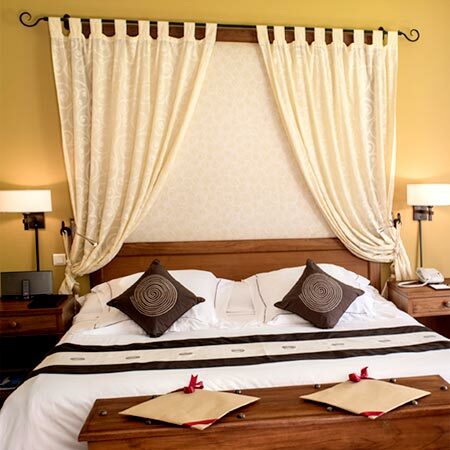 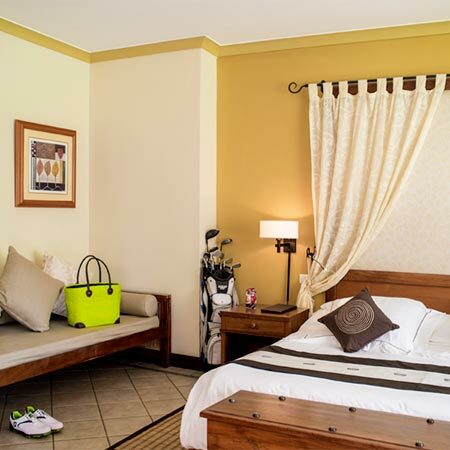 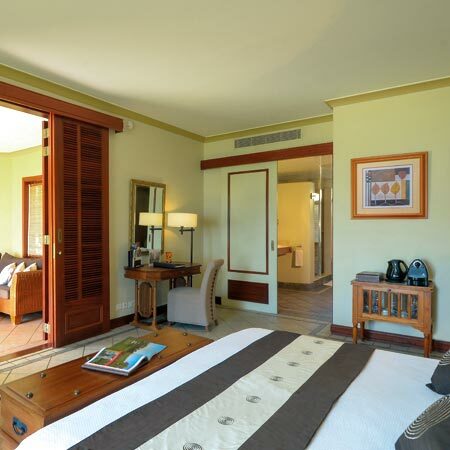 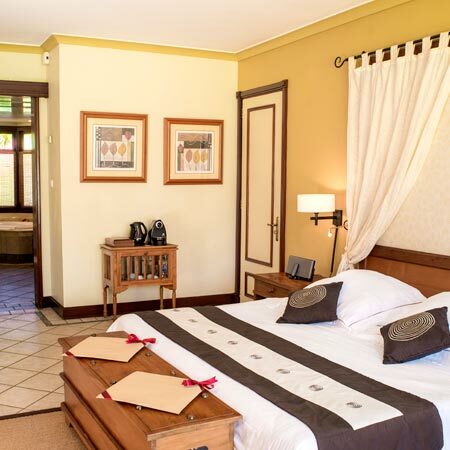 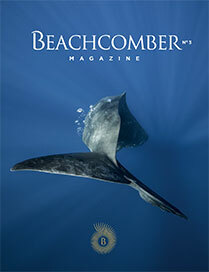 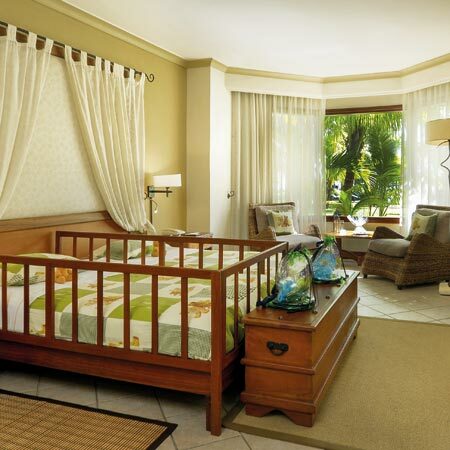 The resort features luxurious all-suite accommodation that blends harmoniously into the lush tropical gardens.